In order to give all the playing opportunities to everyone, we made a few changes to our schedule. Here is the link to our official 2015 tryout page for all the scope you need to know on this years tryouts. 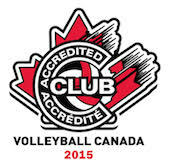 You have questions about our club or even this years season, join us on September 9th at our open house session. Location and time to be confirmed soon. Please remember to check the schedule regularly and/or our social media accounts for announcements on changes (if necessary).